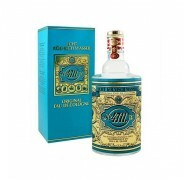 The 4711 Original Cologne water (Original eau de cologne) is the brand name of Perfumes oldest in the world, in man perfumes and women's perfumebegan at the beginning of the 18th century, when it was created by the Italian Giovanni Maria. The scent of the perfume was very innovative for its time, because it was a fresh scent that is very different from loaded perfumes that were used at that time. Thanks to this Eau de Cologne the German city of Cologne was recognized among 18th - 19th as the city of the perfumes. 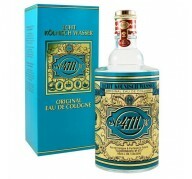 4711 Eau De Cologne is a very unique perfume. It's a classic proposal for men and women. This unisex fragrance is a great choice for collectors and lovers of authentic perfumes.